Google announced some new hardware at a characteristically low key event in San Francisco on today. Nearly everything had been leaked ahead of the event, but there were a few surprises — some more exciting than others. Inevitably, one thing seemed clear: Google wants to be a gadget company, too. The gadgets aren't bad, either! There's a little smart speaker, a big smart speaker, a smartphone, a smart laptop, a smart-looking VR headset, a smart set of earbuds, and even a smart camera that takes pictures even when you don't ask it to. (That last one might be dumb.) 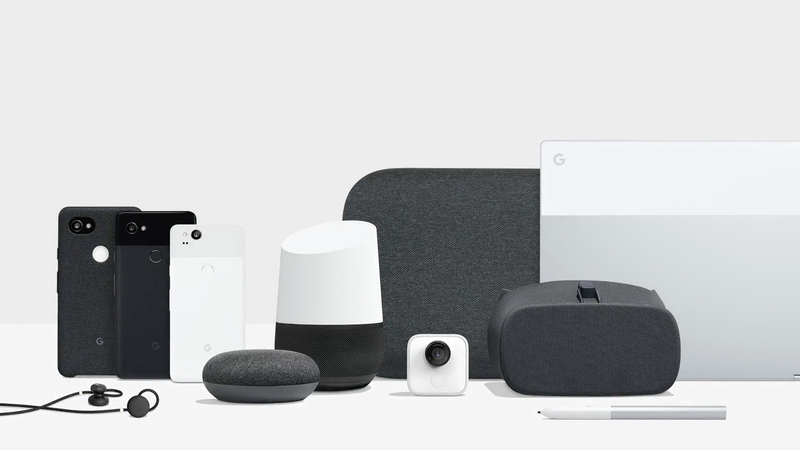 The very Google-y thing tying it all together is machine learning and artificial intelligence, future-forward technologies that stand to transform how all gadgets work. Until we try out the new products ourselves, however, we're left with promises and glossy press photos. In some particular order, here's everything Google announced today. The new smartphone from Google runs pure Android Oreo and, supposedly, has the best smartphone camera ever made. 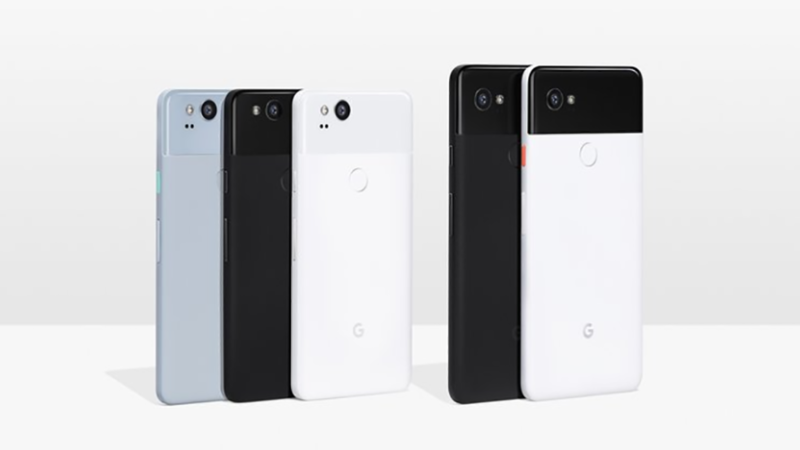 The Pixel 2 design is slightly different from the original, with smaller bezels, a streamlined body, and a glass panel on the back where the camera lives. The headphone jack is also gone. 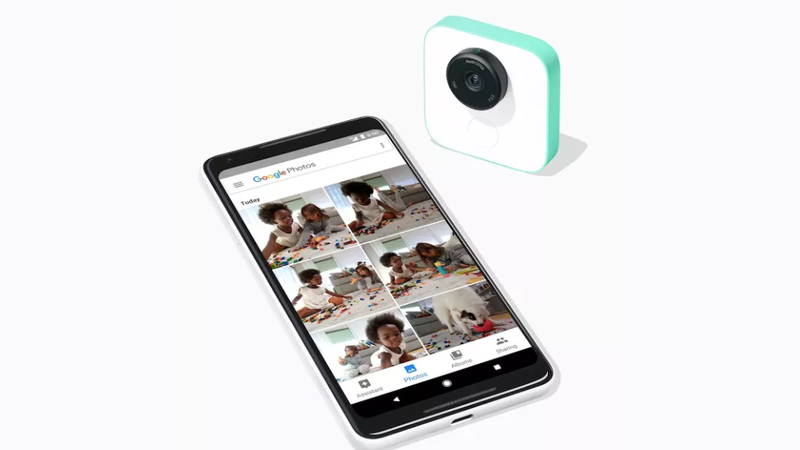 Google talked up the new and improved camera a lot, which is fitting since the camera on the original Pixel received such rave reviews, as well as lots of enthusiastic marketing on Google's part. This time around you get the same resolution from a 12-megapixel sensor, but you also get a portrait mode that looks a lot like what Apple offers on the iPhone 8 Plus. 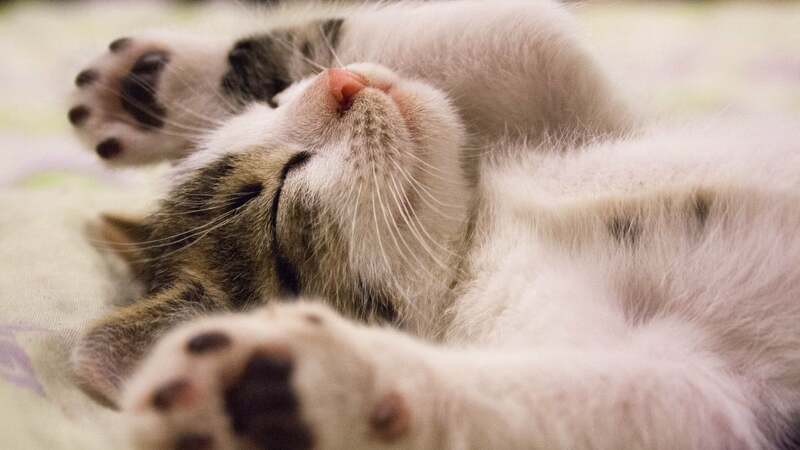 Instead of requiring a second lens, however, Google creates that hot bokeh effect with software. Portrait mode also works on the front-facing camera. The Google Pixel 2 starts at $1079, and the Pixel 2 XL starts at $1399. While you can register your interest in either device today, Google hasn't yet announced an official release date. Many people think of Chromebooks as cheap, crappy but just-good-enough laptops. The Pixelbook is not your typical Chromebook. 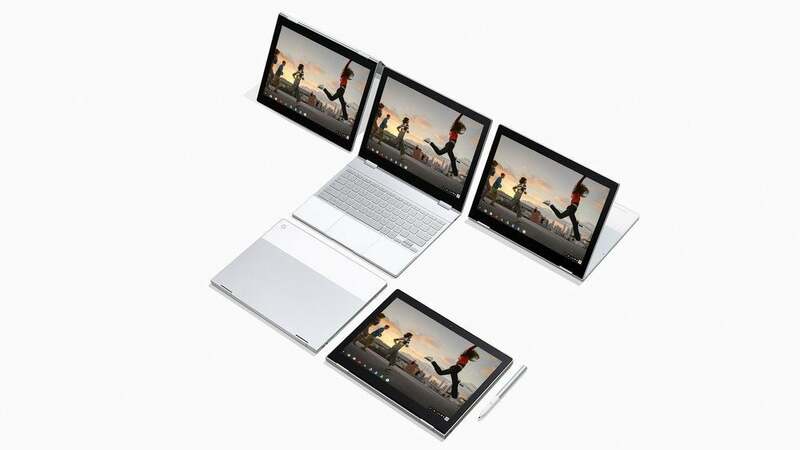 Google's new premium laptop runs Chrome OS and comes with an Intel Core i5 or i7 processor, 16-gigabytes of RAM, as well as a 2560 x 1700 resolution display with multitouch capabilities. For a $US100 ($127), you can also buy the Pixel Pen, a stylus that looks an awful lot like an Apple Pencil. The laptop's design sounds pretty slick as well. There's an all-glass back and a 360-degree hinge that lets you smash keys from whatever angle you please. The whole package is just 10mm thick. Perhaps least exciting is a new Google Assistant that, well, activates Google Assistant. The Pixelbook starts at $US1000 ($1272). Pre-orders start today in the US, UK and Canada, and the laptop will be in stores in said countries on October 23. Australian pricing and release date has not been announced. 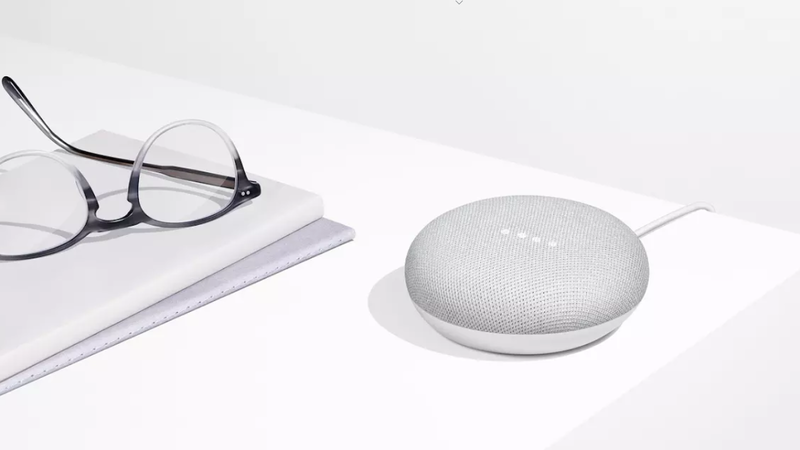 If Google Home is too much smart speaker for you, you might like the new Google Home Mini. This voice-activated gadget is just 10cm across and offers the same access to Google Assistant as its big brother. Since there's only one speaker on top it's hardly an elegant sound system but, hey, neither is the full-sized Google Assistant. The best part about the Google Home Mini is that it's cheap. At $79, the device is incredibly comparable to the Amazon Echo Dot but better looking. If Google Home isn't enough smart speaker for you, you might like the new Google Home Max. This boxy sound machine comes with dual 13cm subwoofers and tweeters on top to delivery bass-heavy music, like something Diplo might make. (Diplo made an ad for Google about the new Home Max.) The Home Max also includes the same Google Assistant capabilities of its smaller siblings. 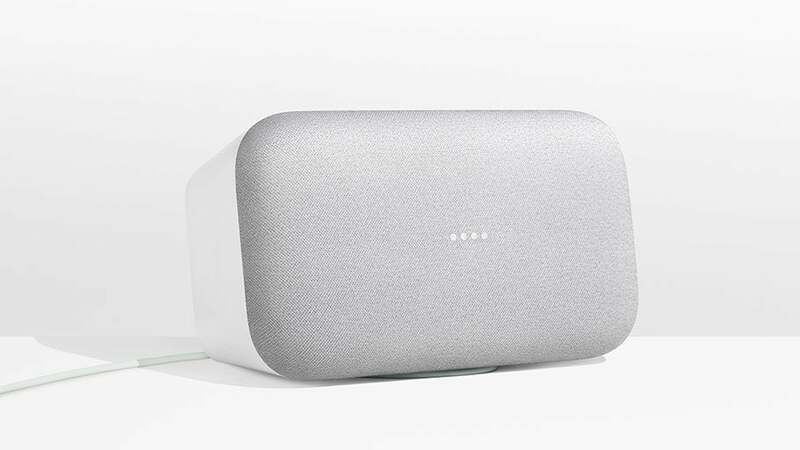 This Apple HomePod competitor and Sonos clone will cost back $US400 ($509). It goes on sale in December in the US. Australian pricing and release date have not been announced. Now that Google has killed the headphone jack on the Pixel smartphone, the company is selling some wireless earbuds for a hefty premium. The Pixel Buds appear to be slightly bulky smart headphones that nestle in your ear in a similar fashion as Apple's AirPods — though with a wire connecting the two buds. 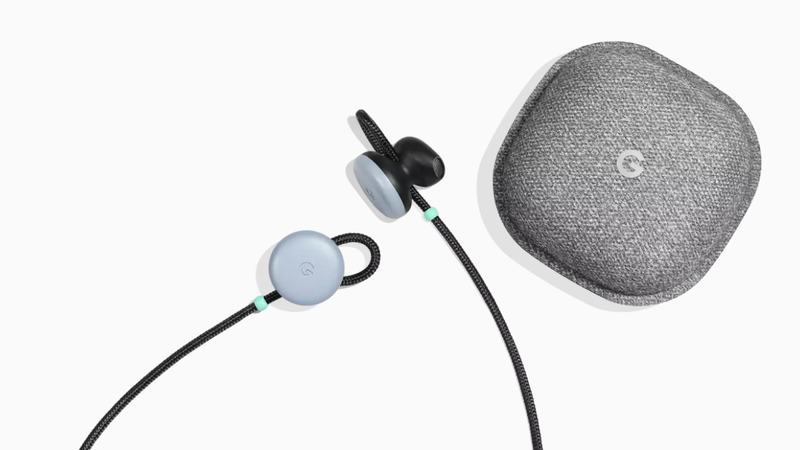 The wow-golly feature of the Pixel Buds is real-time Google Translate which supposedly lets you encounter a foreign language and hear the translation in your ears. The Pixel Buds cost $249, just a tad more than the AirPods. They come with a charging case and go on sale in November. 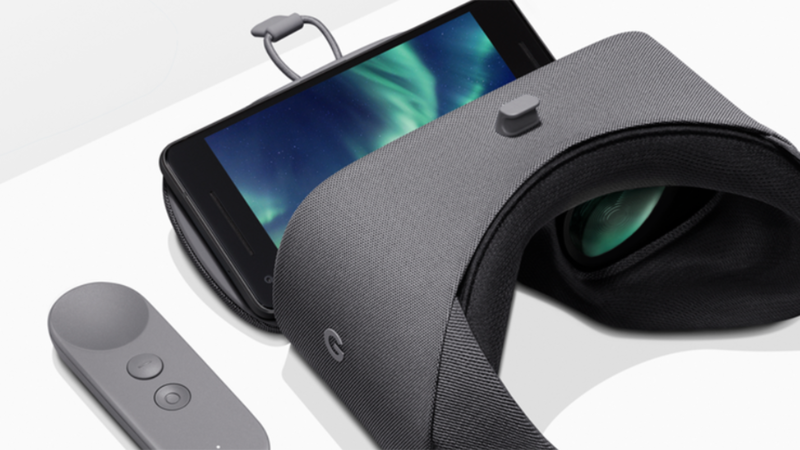 The sleek VR headset that Google announced last year got a little bit better this year. The new Daydream comes with a wider field of view and in three new colours: Charcoal, fog and coral. There's also a slot for the controller as well as a removable headband. It's $149 and will be available "later this year" from the Google Store, Telstra and JB Hi-Fi. Have you always dreamed of owning a camera that you could attach to your clothing and that would take photos at random moments selected by artificially intelligent software? We haven't either. But if this sounds like fun, you might love the new Google Clips. These cracker-sized cameras supposedly know when the moment, lighting and framing is right to take a photo. All you have to do is set it up, and let Google's software take some pictures. This horrifying future costs $US250 ($318). Those in the US can currently join a waitlist to get a Google Clips. Australian pricing and availability have not been announced. The device will ship in the US in the horrifying future. That translation feature of the buds. Noice.